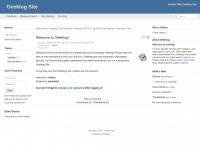 Geeklog 2.1.2 is the recommended version for all production websites. 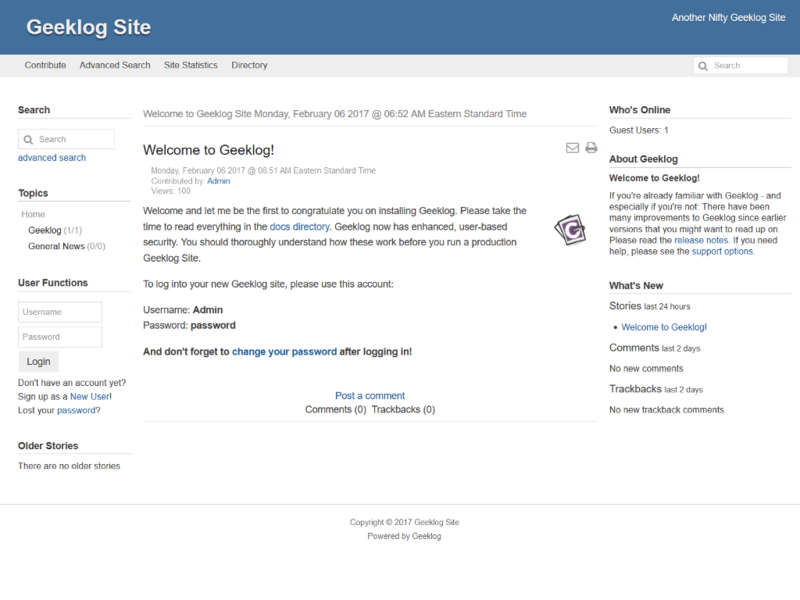 For upgrades please make sure any plugins you are using are compatible with Geeklog 2.1.2 or higher. This is a complete tarball for fresh installs as well as upgrades from any older Geeklog version.